by Gregg Stebben Author · Denis Boyles Author of introduction, etc. 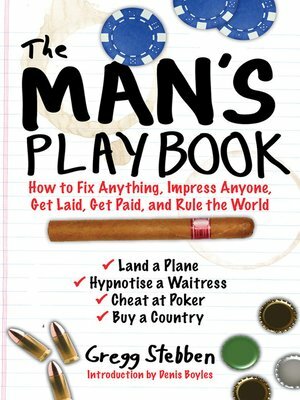 The Man's Playbook is more than just a how-to guide; it's a way of life. Learn timesaving, life-improving, woman-impressing tips that will last a lifetime. Want the sleek charm of James Bond? Inside, you'll find out how to shake a martini just like he would. Got a crush on your favorite waitress? Learn the best lines to get her talking. Heading out to a black-tie event? Check in with The Man's Playbook on how to properly wear a tuxedo. Carry this "Bible for Men" at all times and you'll never be unprepared, underdressed, or undateable again.